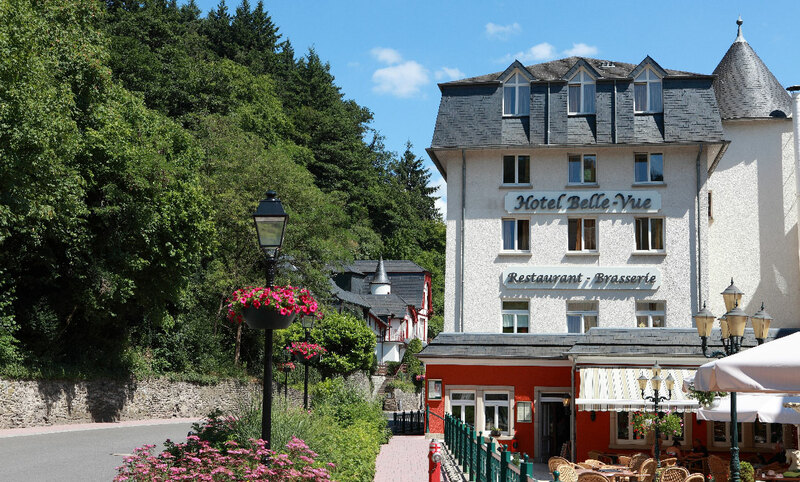 The Hotel Belle-Vue is a modern ecological hotel heated by solar energy and the recovery of heat of cold stores and chopped wood heating during the winter. 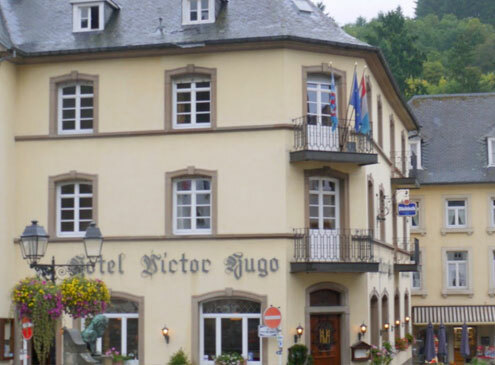 Its advantageous position nearby the centre of the small, medieval town called Vianden makes it the more attractive. What’s more you can benefit from parking facilities: large car park next to the hotel and private underground car park for cars and motorbikes. Furthermore the entire hotel is easily accessible for wheelchair patients and its rooms are equipped appropriately with conformable bathrooms. stylishly furnished 4-star rooms with balcony directed to the south, partly equipped with whirlpools. Inviting gastronomic à la carte restaurant with salad buffet. Breakfast buffet in a new, brightly illuminated restaurant. Comfortable/pleasant hotel bar with draught beer. Free car park next to the hotel. 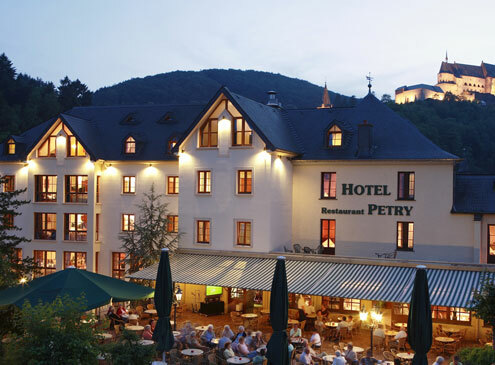 The fitness area of the nearby located Hotel Petry is at your disposal. 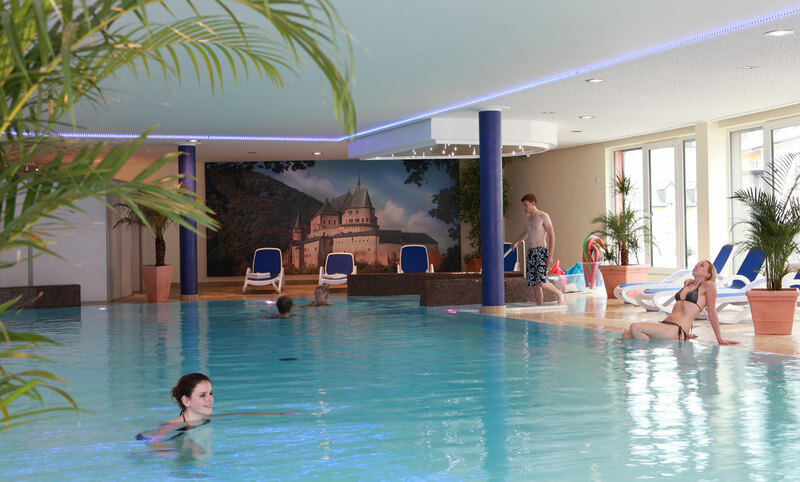 From 2 nights on the use of the fitness room is free (of charge). 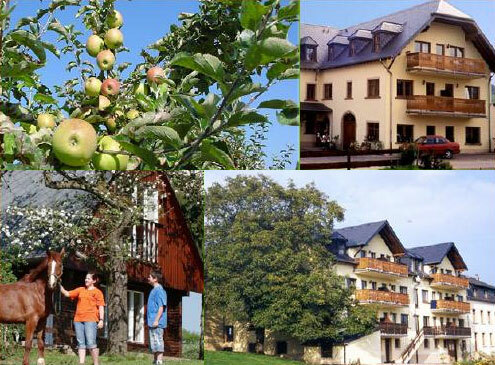 Breakfast; Inviting gastronomic à la carte restaurant with salad buffet; comfortable/pleasant hotel bar with draught beer.